It was impossible for me to climb this stile, because every step was six-feet high, and the upper stone about twenty. I was endeavouring to find some gap in the hedge, when I discovered one of the inhabitants in the next field, advancing towards the stile, of the same size with him whom I saw in the sea pursuing our boat. He appeared as tall as an ordinary spire steeple, and took about ten yards at every stride, as near as I could guess. 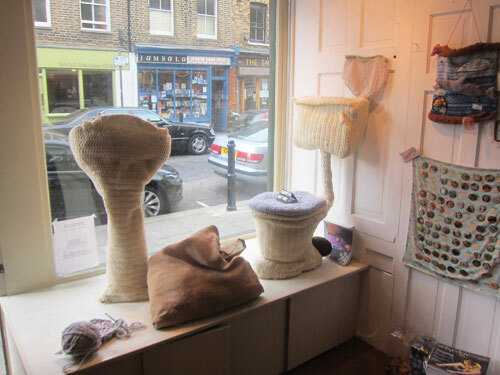 a few weeks ago, while frolicking around london, we walked into rachael and louise’s yarn imaginarium in east london: prick your finger. 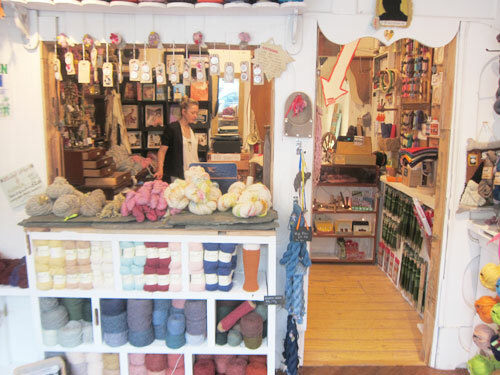 the store is like a mini-bazaar, chock full of yarns that rachael and louise spin themselves in the shop or design by sourcing fiber directly from farmers and then working with a guy named roger, who runs one of the last small uk mills. yup! that’s 100% ethically sourced yarn in action. 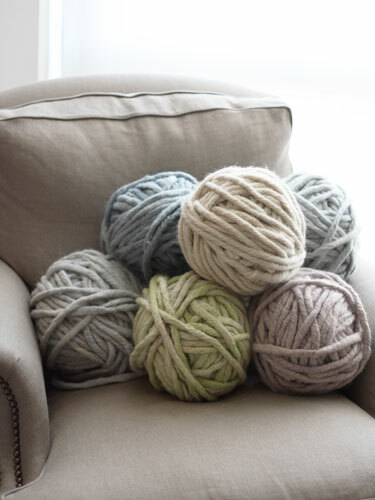 in the corner of the store, we spotted the most amazing yarn, named money for old rope. 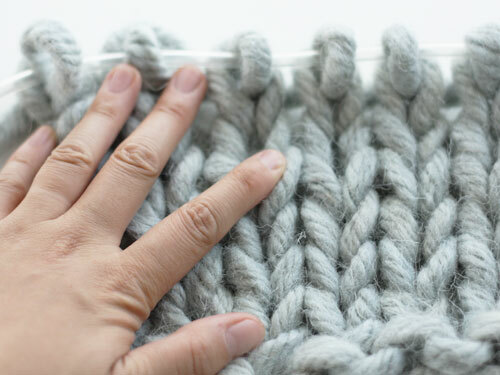 it’s a beyond super chunky yarn, and on 16mm needles knits up to about 1 stitch per inch. money for old rope is a six-ply construction, spun by roger, using fiber from hardy swaledale sheep. swaledales are one of the few breeds able to thrive in exposed mountainous region of north britain. we found a rather cute picture of the ‘lil fellas on wikipedia. 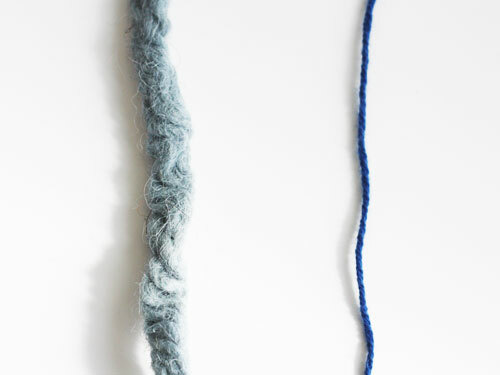 to give you a sense of size, we took a picture of money for old rope (left) next to a strand of our worsted weight cashmere yarn (right). yes, that really is a worsted weight yarn, and not lace! each 600g ball of money for old rope is roughly the size of a basketball. it makes beautiful rugs, floor cushions and scarves. although we have to say that they’re kind of nice to have as decorative accessories around the house! as far as we know, we’re the only shop in stateside that carries money for old rope. we’ve got a few balls in stock now and it’s available here. we’ll hopefully be able to get our hands on more soon!